Sometimes getting your department to invest money for any purpose can be difficult, and this is certainly true when it comes time to purchase lockers. Lockers often don’t stand out as priority line item on a budget sheet. Whether you’re grappling with school administrators or a board of directors to get a budget item approved, it’s important to highlight the right aspects of the asset. So what are the most important aspects of lockers, from a budgetary standpoint? Demonstrating a need for lockers is probably not going to be difficult. Whether your intended purchase involves storage lockers, school lockers, or gym lockers, the same universal truth applies: people need a place to store their stuff. Outdated lockers probably lack visual appeal, but aesthetics are only part of the issue. Newer lockers are more functional and available with features and finishes that weren’t offered in the past, making them more appealing and useful. Keep an eye on the future. How do the lockers you purchase now fit into your five-year plan? Can you afford to keep the lockers you have now for an extended period of time, or would an investment in new lockers mean a more attractive and functional space for years to come? It’s important to accentuate the return on investment. Let’s face it; anyone approving a budget is going to look more favorably on items that promise a greater ROI. If you’re working for a private club or a college, having attractive lockers is an obvious choice! 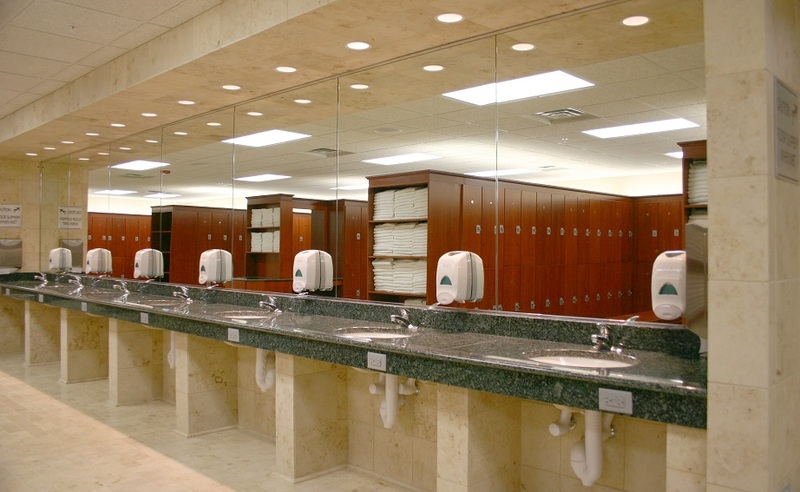 A better-looking locker room, like any other aesthetically improved space, attracts more customers and students. Remember your visual aids. The people in charge don’t necessarily share your vision, but you can change that by giving them something to see. If your current storage space is obviously worn and unattractive, you might open with photos of this deplorable condition. Your closing move, however, should contain photographs and brochures pertaining to the lockers you want; this will demonstrate the benefits they’ll provide and the features included in your proposal. If you need assistance gathering data about lockers, Legacy Lockers is happy to help. America’s foremost builder of lockers, Legacy Lockers has over 65 years of manufacturing experience in the woodworking industry and is happy to share that expertise with you. To learn more about designing your new locker room, or to obtain pamphlets and brochures that will be useful when you make your pitch, fill out the form below or call at (866) 291-3395.